When asking clients what they require from their office, more and more are questioning how they can make their office more “fun” or “cool”. 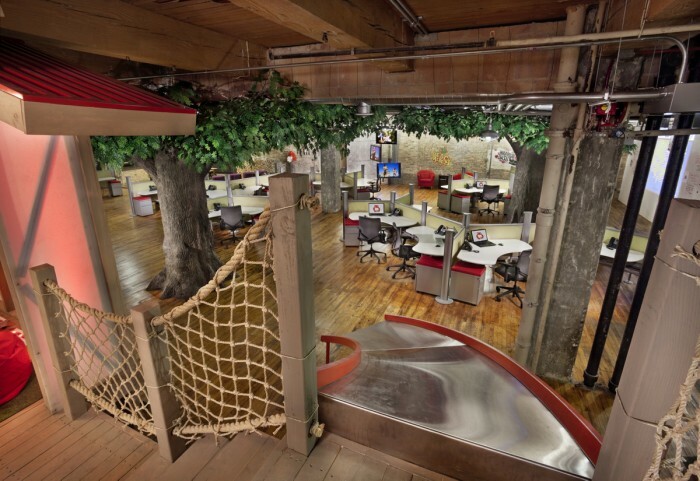 With the line blurring between work time and social time, can SME’s soften /lighten up their offices? Or is this a trend occupied only by large tech companies such as EA and Facebook? For many, the means of working and socialising are increasingly crossing paths. It can therefore be suggested that the way we work and socialise have to be changing. Within most companies there is now an emphasis on social media as part of work, meaning for many, work is following them everywhere via their phones, laptops and tablets. Instantly connecting them to work matters from the time they wake up until the time they go to sleep. With this demand for work and social crossover’s the line of separation is getting very blurry. This modern craze of having slides in your offices or even petting zoos sounds great in theory, but what benefit does having an adult ball pit, garden furniture, huge sofa units or even walls made of pallets really have in an office overall? How are these quirky ideas going to help someone in accounts create an invoice? Focusing a little further , you’ll be very surprised with the results. The philosophy and theories behind these implementations within the office space, give small firms a much better way to connect employees to the culture of a firm. The office itself creates an identity that employees can understand, relate to and push forward. With work now pushing itself into an employees social territory, the office is much more than a room where someone can earn a living, it’s become a place were people socially thrive and evolve. Now I am not saying all office spaces should have 50 feet slides running through them. There has to be a degree of appropriateness. Offices are still professional arenas and you don’t want your employees walking into a grown up’s version of Toys R Us. What I am trying to grasp onto, is that SME’s especially, need to understand their company and what their teams need to fulfil their tasks. Would an employee be better off using a desk space, meeting booth, cafe space or breakout area to most efficiently complete a task for example. Allowing your employees freedom to complete their work in a range of flexible environments where they feel comfortable, may help your production, efficiency and also morale . SME’s don’t need to break the bank like many other large companies have been doing. But there has to be an understanding that the barrier between work and your employees social life are breaking down. 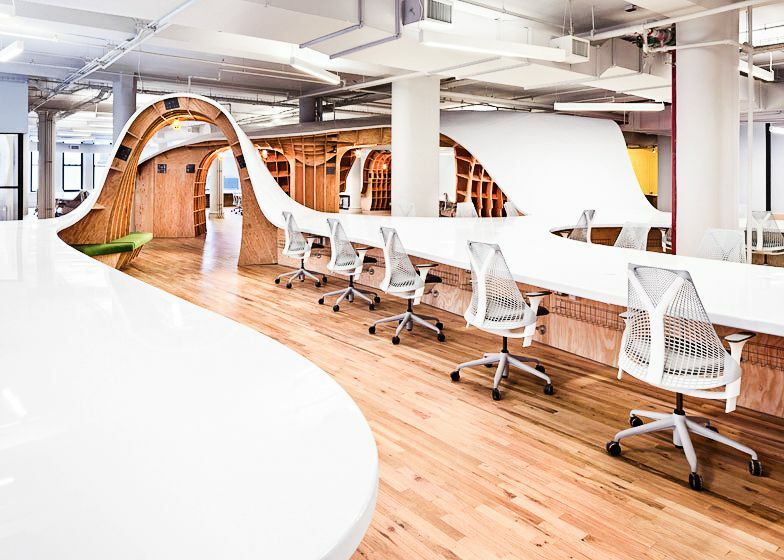 The ability to create a “fun” or “cool” atmosphere is the natural progression when evolving your office in the modern arena, but as previously said, take small steps, you don’t need a 50 foot slide to make your firm more successful.